Google is the world’s largest search engine, and the most visited website on the planet. It attracts billions of views each day, with people searching for countless different things online.For many people, Google is regarded as the gateway to finding whatever they want online. It is hard to imagine the Internet without this amazing service. This search engine started off as a crude project between a small group of people and quickly rose to become the most important website on the Internet. It doesn’t matter what niche you are operating in, the kind of products that you are offering, or the type of people you are targeting; if your website exists online, you will need to optimise it so that you can get a better ranking on Google. Think about it; if your website has a better ranking online, you will be able to attract more traffic. More traffic eventually means greater sales and revenue, which is perhaps the main reason why anybody starts a website in the first place. Whether you want to attract attention to what you are writing, sell a particular product or a service, or have a website that offers virtually any kind of service, you will need to optimise your website so that you can attract more customers. However, for many years, people have been wondering exactly what are the factors that affect your rankings on Google. Search engine marketers have been mostly stumped, though they have come up with a pattern that affects website ranking. That is why local search engine companies offer a variety of different services that are related to marketing and optimising your website. Despite the immense amount of research that has gone into search engine optimisation and marketing (it’s a billion-dollar industry, after all), there has been little to no confirmation from Google about which factors really affect performance online. However, finally, we have an answer. According to a Search Quality Senior Strategist at Google, the three main factors that affect your website’s performance on the search engine are RankBrain, content, and links. Without these three factors, your website isn’t going to grow at all. However, for a person who’s just entered the vast world of search engine optimisation, it’s next to impossible to understand all three of these terms. Let’s assume that you have just launched a new website. You have worked carefully on the design of the site and have worked diligently to optimise each and every aspect of your website. Is that enough to put your website into the top search results on Google? Nope, not at all. There are numerous factors that come into play when considering the ranking of your site. You can’t just stop optimising your search and feel that you have done enough. If you do so, it won’t be long before other competitor sites start surpassing your page. Now that you know the basic factors that affect your website’s performance, let’s discuss them one by one. Arguably the most important factor that affects your website’s performance are the links leading to your site. 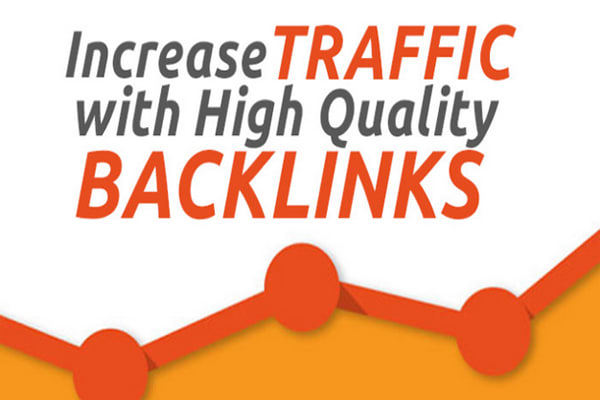 If you have more links leading to your page, your website’s ranking will increase. Companies that offer search engine services usually provide link-building services to their customers. Links can be generated in a variety of different ways. Companies use a variety of different techniques in order to generate links to your site. One of the most common techniques that is used widely by different websites is to post on different forums and put up the link to their site as a signature. This way, not only are you letting other people know about your website on forums but every post that you make also generates a link. Google’s algorithms generally look for several specific things when determining the number of links; the ranking of the website from which the links are incoming is considered, as well as the niche in which those websites operate. Previously, all of this didn’t really matter as much. People used software bots in order to generate incoming links to their site. However, Google has changed that now. Only human-generated links are acceptable, and websites that are found using software bots are quickly blacklisted. The content on your website obviously plays a huge role in determining your ranking. If you don’t optimise your content accordingly, your rankings are going to suffer drastically. Google’s crawlers pay very close attention to many different things when analyzing the content of a site. Previously, it was all about stuffing keywords into spun content. But that’s no longer the case. You need to have a solid combination of text, graphics, and video content on your website. The keywords need to be properly woven into the content if you want your website to grow. This is one of the most important factors, and you will need to hire a company for proper on-page optimisation to help you in this regard. Google’s proprietary artificial intelligence (AI) program is used for processing search engine queries. RankBrain makes use of artificial intelligence in order to sift through hundreds of different queries in order to find the right websites and quickly show them on your screen. For the most part, RankBrain was hidden, until recently. The news broke on different websites such as Bloomberg and BBC which confirmed the presence of this amazing AI program. RankBrain has its own system of analyzing websites and determining which offers the most relevant content. It takes into account a host of various factors, such as the country where the search originated, and numerous other things. That is how all of the search results are curated and tailored according to where the query was sent from. These are the three main factors that affect the visibility of your site. Of course, there are several other factors as well, most of which can be placed under these three main categories. Now that you are aware of them, it is important that you optimise your website accordingly!